Complement your traditional living room with this classic chair and ottoman combination. 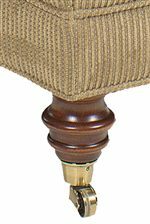 The upholstered chair exudes traditional style with its soft, rolling track arms and turned wood feet. 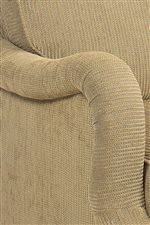 It features a scroll seat back with a plump seat and back cushion for comfortable seating. Front legs include casters to easily move the chair where you please. Rest your feet on the ottoman, which also includes casters so you can move it from room to room. Lounge in complete comfort with this cozy chair and ottoman. 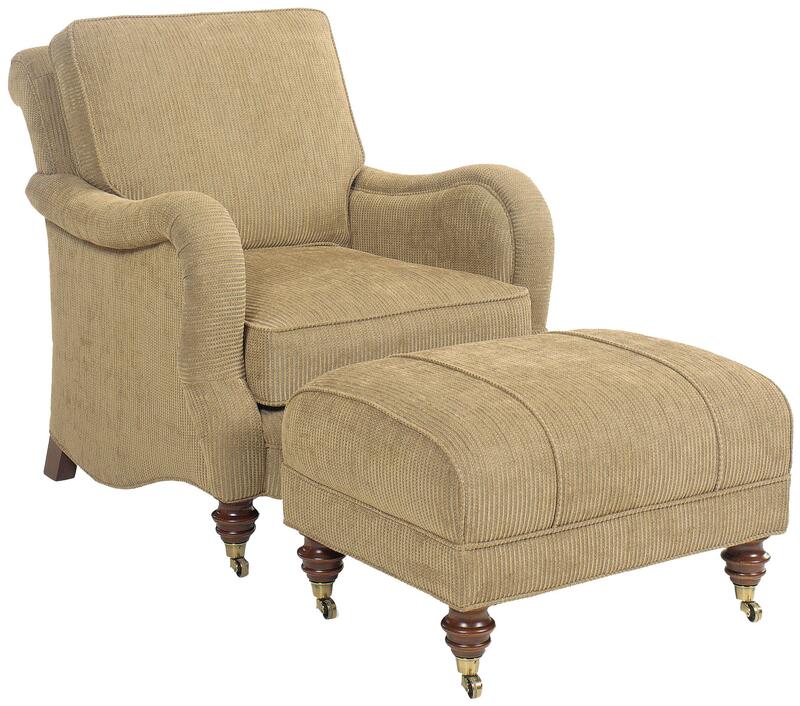 The 1458 Traditional Upholstered Chair and Ottoman with Turned Legs and Casters by Fairfield at Lindy's Furniture Company in the Hickory, Connelly Springs, Morganton, Lenoir area. Product availability may vary. Contact us for the most current availability on this product.